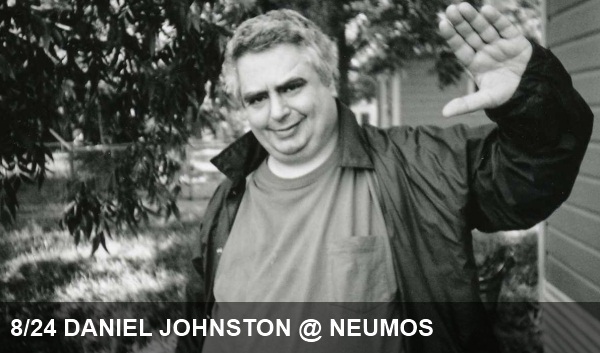 As a wildly creative visual artist and an immensely talented lyricist and musician, Daniel Johnston and his work have long belied the creative genius that goes into it. Simple phrasing intertwined with complex orchestration often boiled down into short pop fragments and the result, like all good art, defies adequate description through words alone. While Johnston’s story is one long on heartbreak, it is one that isn’t short on humor as Johnston’s amazingly upbeat take on life have helped him battle many years living with bipoloar disorder. If you’ve yet to see the exceptional 2006 documentary The Devil and Daniel Johnston (trailer below), we highly recommend it. Once you’ve had a chance to listen to some of Johnston’s tunes, many of which have been covered here (by the likes of Tom Waits, TV on the Radio, Bright Eyes and many more) and in numerous live settings, head to Neumos tonight to see the living legend for yourself.